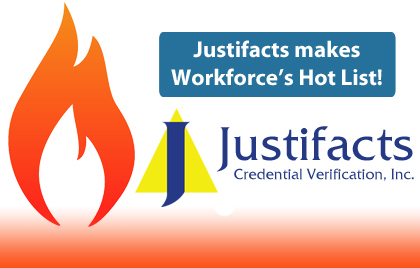 Justifacts Credential Verification, Inc. was recently listed by Workforce Magazine on their “Hot List” of Background Checking Providers for 2014! Read the full article here: Special Report: More “Background” Noise. 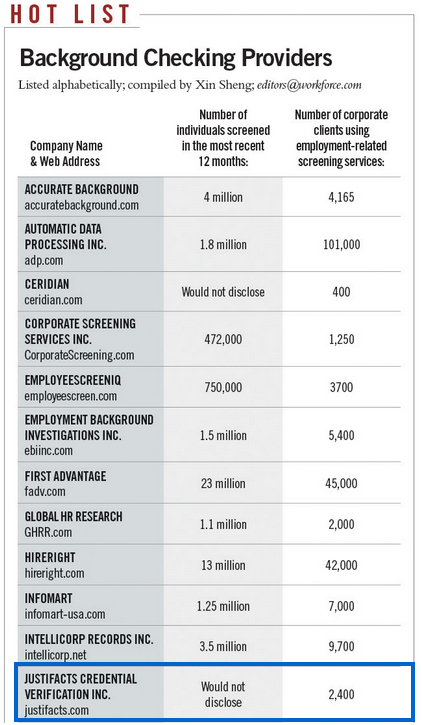 Furthermore, our recognition on this list confirms our commitment to providing a superior, cost-effective product that is efficient in turn-around time while maintaining an unmatched level of customer service in order to meet and exceed our clients’ needs in their pre-employment background checking and throughout their hiring process.